These days, it seems like industry and social changes are happening at a faster pace than ever before. Take the emergence of companies like Uber and Lyft. Unheard of just a few years ago, these businesses allow everyday drivers to repurpose their cars and moonlight as freelance drivers to earn some extra change. While the rise of ride-sharing companies has been great for people who want to put their cars to use, as well as people who need a convenient, affordable ride, it’s been a major disruption to the taxi industry. In this episode of The Real Estate Guys™ show, we’ll examine nine major disruptions to the traditional real estate industry and discuss the way these changes affect YOU. Most disruptions don’t appear out of nowhere … even if it seems like they do. Major trends tend to evolve slowly. The upside? You have time to react and get in on the game before you’re left behind. The downside? If you aren’t keeping your eyes wide open, it’s easy to miss what’s going on. Our first major trend is one that gained popularity quickly over the past few years … and is now on the tip of every vacationer’s tongue. Airbnb. Everyone’s heard of this company, and for good reason. Companies like Airbnb allow homeowners to rent their homes to vacationers for a night or a fortnight. For regular homeowners, say a person who’s purchased a vacation rental they only use two months out of the year, short-term vacation rentals offer a way to make money in today’s sharing economy. And for real estate investors, Airbnb offers a completely new model for hospitality … and often, a drastically higher rate of return. But for competitors in the traditional hospitality industry, Airbnb presents an unwelcome disruption to an established market. After all, hotels can’t usually match the amenities, home-like ambiance, or affordable rates of Airbnb options. So the hotel industry is responding … often by attempting to quash short-term vacation rentals in a given area. Today, modular housing means something totally different. In fact, in many ways modular housing has become the best option for low-cost, high-quality homes. New technology has allowed modular building companies to become hyper efficient, producing consistent results with less overhead than traditional building methods. Obviously, this trend is also disrupting a big industry … traditional building and construction businesses. These companies know what they’ll do about this trend… try to stop or circumvent it. The real question is, do you know what you’ll do? In some cases, it isn’t a new technology that’s disruptive … it’s the economy. Consider overcrowded, high-priced areas booming with new companies like San Francisco and Vail, Colorado. In these markets, the demand for housing is there … but the market isn’t responding (or can’t respond, due to geographic barriers). In some cases, this has opened up a new industry … worker-specific housing, created solely to provide homes for workers flocking to burgeoning technology markets. In the most extreme cases, however, no one is stepping up to the table. Take Google, for example. The company recently installed modular homes near their Silicon Valley campus to provide temporary, affordable housing to new employees. But Google’s solution isn’t permanent … it’s a patch on a problem that will only get worse. The real solution? Either someone has to figure out a way to add affordable housing to already packed markets … or companies have to make the move to more affordable markets. As with any trend, we want you to take note … and look for the opportunity in the situation. Although in many ways, the real estate industry hasn’t changed significantly compared to years past, technology tools for homebuyers have expanded dramatically in the Internet age. First, it was online MLS programs that expanded access to home listings. Today, technology is racing to fill needs and wants as they arise, changing the way real estate works every day. It’s easier than ever before to buy a property without ever stepping foot in it. Advances in technology, like virtual reality programs that let potential buyers examine homes from a distance, have made physical walkthroughs unnecessary. Buyers also have a vast array of constantly improving data available to them online. Sites like Zillow show home values, and it only takes a push of a button to find an area’s crime rates and school statistics. While online technology rapidly increases the information available to potential homebuyers, some sellers are taking advantage of Internet trends to get a competitive edge. Real estate professionals like our friend Ken McElroy use popular social media sites to create interest instead of relying on traditional advertising techniques. This approach allows sellers to reach key audiences … while driving the costs out of marketing and acquisition. What’s the benefit of being able to cut edges this way? Well, we hope it’s obvious … finding ways to cut overhead only increases your bottom line … and will help you stay above water if and when we hit a tight market. Along with new ways to research and market homes come new ways to buy and sell them. The online-only trend doesn’t just stop at walkthroughs … these days, companies like Reali operate real estate brokerages entirely online. As technology advances have made information more readily available to the interested public, traditional realties have seen an overall decrease in commissions. There are two things real estate agents can do … find a way to redefine their role in the market, and/or find a way to do more transactions. As new business models facilitated by technology emerge, it’s your job to consider how you’ll re-position yourself to maintain your value proposition. Although your position and tasks may change over time, your income doesn’t have to change if you adapt. When it comes to buying and financing real estate, new lending models have proved a big disruption to a major industry … the banking world. In particular, crowdfunding and peer-to-peer marketing allow people to exchange money without utilizing banks at all. Instead, buyers and sellers can come together without a middleman. It’s easy to fall asleep and miss the little ripples technology makes in the real estate world … but we think it’s more fun to stay awake and watch them turn into waves. If you want to be active and efficient in a slow market, NOW is the time to make your move. That way, you’ll have a competitive advantage when you really need it. In a constantly changing world, it’s YOUR job to rework the rules. While workers are still flocking to big companies in overcrowded cities, on the other end of the spectrum, technology has enabled many folks to work nomadically. For more people than ever before, it’s possible to work wherever the heck you want. How is this trend a disruption? 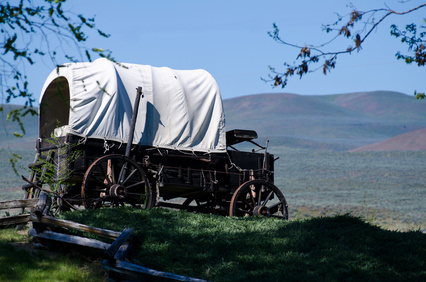 It forces sellers to look beyond local buyers and consider the amenities that will draw nomadic workers to an area. If investors take this trend into account, they may find demand in places they never would have suspected otherwise. A changing world requires you to consider so much more than just the roof you put over tenants’ heads. You have to look at the bigger picture. Last, but not least, we find the rising cryptocurrency trend of the past few decades intriguing. There are over 2,000 cryptocurrencies … and in markets with unstable (or even potentially unstable) currency, investors often find cryptocurrencies a logical option. In our constantly evolving world, there’s so much to think about! It’s YOUR job as investor to avoid being complacent … to stay aware so you can counter disturbances before they arise … or even better, turn them to your advantage. Coming up on the radio show, our best ideas on how to navigate when there are storm clouds on the horizon. Until then, go out and make some equity happen! Now here we are … at the end of the Obama years … and time will tell how history will remember the 44th President of the United States. From what we’ve seen, it seems that President Obama’s “signature” achievement, Obamacare, could likely end up undergoing a major overhaul in 2017 … maybe even a complete repealment and replacement … at least if one is to believe all of the campaign rhetoric of soon-to-be President Trump. More specifically, the provision of the JOBS Act which lifted the restrictions on soliciting investors into private placements. When it passed in 2012, we said it would be huge. When the first set of regulations was released at the end of 2013, we spoke on this topic at the New Orleans Investment Conference. Shortly thereafter, we published a special report, New Law Breaks Wall Street’s Monopoly. We’re doing our best to get the word out so ambitious real estate entrepreneurs can get in on the action. But of course, these things move at their own speed. For some, it’s forgetfully slow. For others, it’s frighteningly fast. It just depends on how you respond to opportunity. If you take a “wait and see” approach, you’re bored waiting for the action to start. But if you have a “plan and do” personality, you’ve been madly paddling into position so you can ride the wave as it breaks. You can read the report for a better understanding of why the JOBS Act is so huge for real estate investors … and ultimately for all kinds of investors. The short of it is that U.S. securities laws have largely served to protect the market-making monopoly of Wall Street … and herd Main Street investors into the paper-asset casinos. Read that again and let it soak in. By making it very dangerous and expensive for purveyors of private investment opportunities … like folks putting a group together to buy an apartment building or hotel … the old law discouraged real estate entrepreneurs from offering those deals to Main Street investors. Those deals went to Wall Street banks or a select few insiders. So as a Main Street investor, if you wanted to get in on real estate, you either had to figure out how to do it yourself, or have an inside relationship with someone who had deals … or do a Wall Street version of real estate like REITs or mortgage-backed securities. But now, purveyors of private placements can advertise their deals directly to Main Street investors … completely bypassing Wall Street. We like it. Some entrepreneurs are investing a lot of time and money into building special market-making software called crowdfunding platforms. Those take a lot of money to build … and there’s a fair amount of regulations you need to contend with. Being a crowdfunding entrepreneur is not for the light of wallet or faint of heart. And at the end of the day, to make crowdfunding work, you still need deal flow and a crowd. Those cost money to build, too. Somebody will probably figure how to become the Amazon.com of real estate crowdfunding. But remember how much time and money Amazon spent to get there? Yikes. For street rats like us, we think there’s still tons of money to be made leveraging the new law into taking good old-fashioned syndication to the next level. In fact, we’d prefer it that way. Think of all the problems created by too much concentration of power in corporations and governments. Sure, we understand the benefits of economies of scale. But when things get big, accountants and politicians move in and manage for numbers … forgetting the human element. Call us old school (we’ve been called worse) … but we much prefer Main Street investors doing business with Main Street entrepreneurs and doing Main Street deals. Small. Local. Personal. And if we’re all doing enough Main Street business well, it slows down how fast someone can build a new monopoly that forgets the people. When corporations get big, they lobby for laws which are used to protect their monopolies and crush competition. That’s bad. So when we look back on the Obama years, we’re happy for the JOBS Act … and the freedom to do business Main Street to Main Street … completely circumventing Wall Street. Of course, not using a freedom is almost like not having it at all. So we hope LOTS of people will get on board and keep driving the Main Street to Main Street revolution. If YOU want to get in on the action, come learn the Secrets of Successful Syndication on March 3-4 in Dallas, Texas. Not only will you learn, but you’ll meet lots of people who are out there doing it successfully already. Why not join them? Remember, Plan and Do is better than Wait and See. The world of investing in single family homes changed after the Great Recession. Once the sole purview of Mom & Pop investors, today huge hedge funds like Blackstone own tens of thousands of houses. In this episode, broadcast from the 4th annual Single Family Residential Investment Forum in Scottsdale Arizona, we interview several of the many interesting folks we met there…and discuss how the new level of sophistication is changing the way the single family game is played. Robert Helms: Welcome to the Real Estate Guys Radio Program. Lots of ways to invest in real estate. Lots of styles of real estate investing. We’re going to talk today about the basic real estate investment: the single family house. It’s not what it always was. Things are changing, and a lot of great news. We’re at an amazing conference. We’re going to share a lot of guests with you today and a lot of great thoughts today on the Real Estate Guys Radio Program. Welcome to the Real Estate Guys Radio Show. I’m your host, Robert Helms, from Phoenix, Arizona this week. Let’s say hello to co-host financial strategist Russell Gray. Robert Helms: We’re at the Fourth Annual Single Family Rental Investment Conference put on by IMN. This is a group that we’ve been to some conferences of over the years. They do a bunch of great events and a whole bunch of different areas. About half of what they do is in real estate, and then they do continual education for attorneys and all kinds of different great stuff. Very, very interesting event. It’s single-family based. We’re talking about single family assets, but 80% of the room are in suits and ties. Russell Gray: Yeah, I think obviously the Fourth Annual, right? Single family homes have been around for a very, very, very long time. Robert Helms: Longer than four years. Russell Gray: This is the fourth annual. What you see, the first thing you recognize, you talk about the suits and ties, but you just recognize that there has been a major shift in the single family home market. We’ve watched it happen. We went through the meltdown. There was a lot of mom and pop investors in the space in the run up. It was the hot commodity. Everybody and their brother and their mother and their sister was out there buying single family homes, bidding it up to whatever, holding it, hoping that they could sell it a year later for $50,000 or $100,000 more. Of course, we all know what happened. In the wake of that, the prices dropped. It was a huge correction, to use a Wall Street term, and then a guy named Warren Buffet comes out and goes, “Hey, you know what? If I could go buy 200,000 family homes right now, I would.” The problem is it’s not a well-organized industry. It’s a mom and pop industry. Little by little, companies like Blackstone and big hedge funds aggregated capital, they went out there and painstakingly, property at a time … They were also able to buy groups of properties out of distress, foreclosure, from banks, and buying what they call tapes. Then they get rid of the garbage, they clean up the other stuff, then they get it tenanted, and they hold it for the production of income until some future date in time. Around this has evolved this entire industry now that is creating software products and analytical products and all kinds of ancillary services so that that portfolio manager who is sitting there on 1,000 properties or 2,000 properties, or in some cases 10 and 20,000 single family properties, has a whole host of services that didn’t exist. Now a conference that is not completely dedicated to that, because there’s a lot of mom and pop investors here, too, but there’s a lot of people here that … Industries that did not even exist 10 years ago to service this particular niche. Of course with the big decline in home ownership in the United States and the big increase in rental, not just the number of renters, but the price that people are willing to pay to rent, it has really attracted a lot of attention. It’s an interesting place to be, four years into the conference, especially talking to the people that have been here for a little while that are saying, “This is what I’ve seen the changes.” Of course, for us it’s just a point on the curve, but a lot of interesting things here. Robert Helms: We’re going to meet many of the folks that are speakers and attendees, a lot of listeners that we’ve been able to say hello to here. It’s going to be a great show. You’re going to learn a lot, I’m sure. You’re tuned to the Real Estate Guys Radio Program. I’m your host, Robert Helms. Welcome back to the Real Estate Guys Radio Program. We are in Phoenix, Arizona talking single family houses. Let’s say hello to a gentleman who chaired the first event yesterday, Mr. Dennis Cisterna. Dennis, you were the first guy out of the gate yesterday. You had a great panel. You were talking about kind of the big picture of where we are in the single family world. Give us the high notes. Dennis Cisterna: Sure. We like to start off this event by really covering what’s going on in the macro economy, how that impacts the housing markets, and more particularly, how that impacts the single family rental industry. We cover a lot of the basic topics: GDP growth, employment growth, unemployment, the unemployment rate. There’s a lot of different factors going on right now that are contributing to a greater opportunity within the single family rental industry. I think if you talk to most people on the street or you read any of the conventional wisdom about the economy, it still feels spongy. People don’t think we’re doing bad, but they certainly don’t think we’re doing good yet. Dennis Cisterna: One of the reasons for that is really the housing market. Although people think it has recovered, there’s really a lot of fragmentation and misinformation in the market right now. Dennis Cisterna: And increasing every year, and yet we’re only issuing half a million permits. You haven’t had a real recovery in the owner occupied mortgage market. Even though the population is growing and growing, and there’s a need for a larger housing stock, we’re not building more homes and most of these people can’t afford or qualify to get a mortgage. You’re seeing some stagnation when it comes to existing home sales and new home sales. When you look at the price appreciation, a lot of it has been fueled by investor demand more than traditional demand from a consumer. As it relates to the single family industry, it’s not a new market. 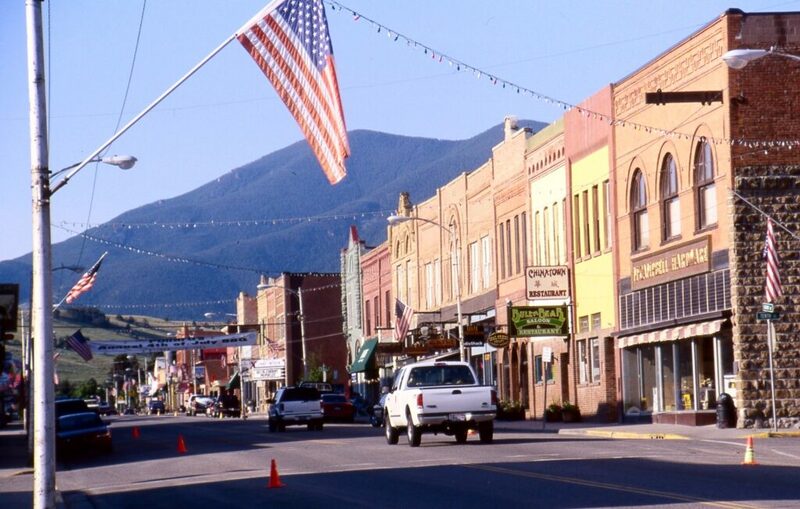 I know a lot of people read in Bloomberg or the Wall Street Journal that Wall Street is taking over Main Street. Dennis Cisterna: That’s a great headline. There are 15 million single family homes in this country that are rented out right now. Dennis Cisterna: Less than 200,000 of them are owned by institutional Wall Street firms, 1.3% of the market. Robert Helms: One of the most amazing slides you showed was the number of people who just own a single house are by far the majority owners. Dennis Cisterna: That’s right. One owner, one property, one rental property, is 48% of the market. It’s 11 million different people that own one rental property. A lot of that has been financed historically by Fannie Mae, Freddie Mac kind of investor loans, one to four units. What’s also interesting about this is because your audience doesn’t do just single family houses, the larger market considers plex product, duplex, triplex, condo, townhome, all that. When you’re looking at that, the market is actually 22 million homes, so it’s even bigger. Dennis Cisterna: It is all related to the same. It is taking advantage of a decline in home ownership in the United States, which has steadily gone done since the recession hit. Because of a number of different forces, most economists project it’s going to continue to slide down. It’s kind of a perfect storm for people who want to invest in renters because you have a surging amount of demand. You have increased rental rates. You have a consumer base that can’t buy a home right now. The personal savings rate in this country is declining so it’s making it harder and harder for people to even come up with the 3% they need for an agency backed loan, never mind 20% if they’re going to get a jumbo loan or nonconforming loan. It’s made a real struggle for people to increase that home ownership rate. As a result, you’ve seen not only a tremendous amount of demand for rental housing, but some really incredible yields for folks that are investing in the space. Starting in 2011 and 12 you had companies that started entering the space as lenders, instead of you, the smaller investor, being constrained by your personal income. You’re a dentist, great, if you’re a school teacher, you’re never getting past one investment property. Hence the 11 million people. As these lenders entered the market, it let you stretch your dollar further. It also, because the debt was reasonably priced, these aren’t hard money loans that people are providing. These are more term loans, five, 10, even 30 year fixed rate loans that are generally priced more affordably than what the yield is on the property so the debt is accretive. Not only is it letting you stretch your dollar further, but you’re able to get higher leveraged profits on top of that. Instead of buying one property with your $100,000, you’re buying 3 or 4 properties. Instead of making cash on cash return of 11%, you’re making 17%. I’m sure a lot of your listeners look at all types of different asset classes and different investment objectives. 17% anywhere you’re going is pretty darn good. That doesn’t even factor in the potential appreciation for housing, right? If you look at where home prices are right now, we’ve kind of righted the ship where pricing right now is kind of where it should have been if it’s been at it’s historical appreciation rate of 3% or so. There’s still a lot of markets that are undervalued. There is some feeling that eventually the mortgage markets will begin to thaw, and what a great treat that is for someone that’s owning an income property that’s appreciated over time. If they need some additional liquidity they can sell part of their portfolio. It’s really just a very dynamic market right now. It’s not really different than what happened in the, speaking of other asset classes, self-storage, multifamily, just normal big apartments. In the 1960s, the numbers weren’t that dissimilar. There was one owner, one apartment complex, that’s it. It wasn’t until REITs started being formed and people started aggregating we started to see the scale. The good news is this industry’s taking off a lot of the efficiencies that those sectors have already created, so you’re seeing the maturity of this market happen at a pace I haven’t seen with any other asset class. Because of the sheer size of it, 22 million units, there is opportunity out there whether you live in California or Texas or Florida or New York. You just have to be diligent about what you’re doing, as you should with any kind of investment. Robert Helms: Whether you’re interested in acquiring two or 300 houses or just a couple of houses. Dennis Cisterna: That’s right. It’s been really interesting for me at FirstKey Lending, we’re one of the specialty finance companies in this space that we were created to help the smaller and middle market investors grow. I’m never going to have one of these publicly traded companies come to me because they can go directly to Wall Street and get their own bonds issued. Dennis Cisterna: But, a guy comes to us with five properties and he wants to own 50? Great. We’re going to provide him the leverage to increase his liquidity to keep buying more houses. There’s other lenders that do that same thing. It’s really interesting. We’ve only been around for about three years. We’ve done a little over a billion dollars worth of loans over that time. The smallest loan we’ve done is one property, $75,000, and the biggest loan we’ve done is an acquisition line for over 100 million. It’s really interesting when you have a good operator, a good investor. Once you unlock the power of debt, and again, reasonably priced debt with good terms, it’s amazing how quickly they’re able to scale their company. I think if you took a survey of these big Wall Street guys, these guys must be the most efficient operators of all, they have the scalability. There should be economies of scale. I could bring out a parade of midsize investors that own between 50 and 500 homes and they blow those yields through the roof. Robert Helms: That’s one of the recurring themes here, right? We’re seeing these mid-level guys. There were folks who have 3000 houses, 200 houses, all over the map. A lot of folks looking to get more, right? That’s a big theme here. You don’t see … There’s a lot more acquisition than you see divestitures it seems right now. Robert Helms: The person that you deal with on a lending basis is a pretty wide range. It’s not just any one type of investor. 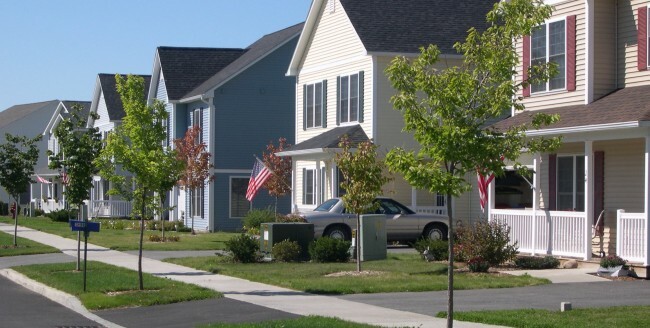 Financing is critical for single family homes. We heard folks on different various panels who were putting together portfolios for cash, but our typical investor, listener, is probably somebody who wants to use leverage. The way that loans have changed over the last several years has been crazy. There’s so many changes, regulations, and so forth. What do you see? Is there going to be more availability of financing? On your panel there was the talk about nobody can qualify. What’s that look like? Robert Helms: That explains why you still have hair. That industry is a tough nut to crack. If you look at a lot of what’s going on in that industry, it’s ripe for disruption. You’ve probably read a decent amount about these venture capital online crowdfunding kind of places where you apply in 15 minutes and you get your loan. Getting any kind of consumer loan and following all the rules, there are not loans like that that take 15 minutes. That being said, what they do is they look at the qualifying metrics of a borrower much different. Whereas if you are going through a traditional mortgage for a home you want to buy, they’re looking at your income, your taxes for the last couple years. They’re looking at your credit score. It doesn’t matter if you had one blip on your radar. The recession damaged the credit score for millions upon millions of people. There are a great percentage of those people that have then rectified. They haven’t missed a payment on anything since then. They just … The economy collapsed. There’s not much you can do, so why take these people out of the ball game? Some of these new lenders in the space are saying, “This guy’s got a good job, he makes a lot of money, he can afford this mortgage. He’s paying this much in rent, if not more, already. Why not give this guy a reasonably priced loan?” That’s happening in the market right now. I think it’ll continue to happen. With that side of the space you’re going to need the old guards of traditional mortgage finance to kind of pick up on the technology slant and pick up on a new way of underwriting their borrowers. The tried and true method obviously didn’t work before because everything still exploded anyway. When it comes to these investor loans, these are business purpose loans, right? They’re not subject to the same amount of regulation that a traditional mortgage for an owner occupied unit would be. The big difference is, if any of your listeners before have done a Fannie or Freddie investor loan, it’s really all about the income of you as the borrower, not anything about the property. It’s silly when you’re buying an income producing property to not consider that. Dennis Cisterna: What’s great about this market is because it’s so fragmented right now, the yields are there. There’s the benefit of the technological advances in property management and rent collection. Ten years ago there was only one way to collect rent, and that was by banging on the guy’s door for a check if he didn’t pay. Now, one of the big advancements that you’ve seen on the multifamily sector that certain operators are using on the single family side is, “Well, we’re going to do ACH debit and automatic payment with our tenants.” A. It’s less work for them. B. It reduces our collection loss tremendously. This is all about effecting the bottom line, right? Even if you buy something at the right price, you want to make your yields even better by being a better operator. There are so many tools available to the average investor that weren’t there just two or three years ago. This industry is piggybacking off all the work the multifamily sector has done. It’s piggybacking off all the work the big Wall Street guys have done when they acme into play. It’s basically rolling downhill for all the individual investors. They’re getting the benefit of technology, capital markets. It’s really interesting what’s going on in this sector right now. I myself am an investor as well, right? Even though I do these loans, I’ve studied the housing markets for 15 years, and I haven’t really seen this kind of an opportunity for investors, big or small. I think those don’t come along very often. 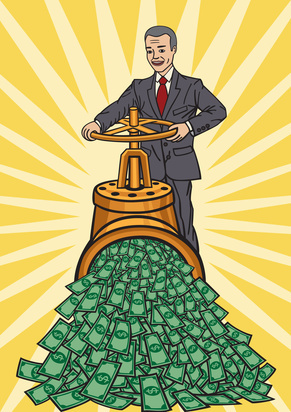 If you had a ton of capital when the recession came, yes, you could have made a ton of money. If you were like most people, you were scrapping together and you didn’t know what to do. Now, with the advent of attractive financing and the fact that you’ve had appreciations in certain markets and still more room to grow, as well as increasing rents. That’s another great thing about it. Because there’s so much demand for rental properties, it keeps pushing rents up in a lot of different markets. It’s really an attractive space right now, and we’re still in the second inning of it. Robert Helms: Yeah. All right, good stuff. I know we’re going to have folks that are interested in finding out how they can get ahold of you guys and learn more about your loan programs. What’s the easiest way to do that, Dennis? Dennis Cisterna: The easiest way is to visit our website, which is FirstKeyLending.com. F-I-R-S-T K-E-Y lending dot com. Robert Helms: All right, good stuff. Thanks for your time and a great contribution to the conference. Dennis Cisterna: Thanks so much, appreciate it. Robert Helms: You’re tuned to the Real Estate Guys Radio Program. More when we come back from Phoenix, Arizona. I’m your host, Robert Helms. Robert Helms: Welcome back to the show. I’m your host, Robert Helms. We’re talking single family investment and very happy to have Doug Cochrane with us from Patch of Land. How are you, sir? Doug Cochrane: I’m doing well. Thanks for having me on, Robert. Robert Helms: Absolutely. Let’s talk about what you guys do. We’ve spent some time in the last couple weeks talking about crowdfunding and in fact you are hot and heavy into that. Tell us about Patch of Land. Doug Cochrane: Sure. We are a real estate crowdfunding company that deals strictly with debt. There’s other companies out there that work in equity. We’re strictly a debt lender. We’re nationwide. We work with developers around the country, anything from single family homes, multifamily homes, hotels, all sorts of asset classes in the commercial range as well. Robert Helms: This is fascinating because a lot of portals out there are all about a deal that gets split into pieces and investors can invest in it. What you guys do is pretty unique, though. You provide funding to a developer, to a syndicator, to put together a deal, and then you go out and piecemeal out the debt. Is that a way to explain it? Doug Cochrane: Yeah, that’s a way to explain it. What we do, the elevator speech is we originate the loans, we underwrite them in house, and then we pre-fund the deal, meaning that we bring our own money into the deal, so we can get to the closing table quickly and so our borrowers can get on with their projects. Then what we do is we open it up to the crowd. We put it up on our site, we give it a full property profile, the borrower profile. We’re very transparent. We put up everything on the site so that our investors, our accredited investors, who are our crowd, they come in, they can read about the project, see if that’s something that they want to add into their portfolio. It’s fractionalized. We have anything from one guy might take out the whole deal or we might have 20 or 30 people who put in smaller pieces. Robert Helms: Of course you’ve already done all the underwriting, so you have the reports, disclosures, information about the property and I would also imagine, the sponsor. Doug Cochrane: Exactly. What we do and part of the pre-funding that’s a benefit to both our borrowers and our investors is we’re willing to put our own money into the deal. Even if our crowd decides not to fill up the deal, we’re still confident of the project. We’ve done our underwriting and our due diligence, and we believe in the property and the sponsor that we’re willing to keep our own money into the deal as well. Robert Helms: Let’s talk about, there’s kind of two angles of this. One is, “I’m a accredited investor. I want to put money at work. You guys have vetted deals. I’d like to be on the lending side. I could diversify by product type and market by investing in several deals.” What does it look like from that investor’s perspective? How do they sign up for the sight? What is it that they do? What are the minimums and range of investment and that kind of stuff? Doug Cochrane: Sure. Our minimum per deal is $5,000. Typical loan size, we have a minimum loan amount that we do is $100,000. We go up to about 10 million. I think our biggest deal so far has been about 3.2 million on a hotel. To get involved, I encourage everybody to go to the site, PatchofLand.com. Sign up as an investor if you’re an investor. Fill out some forms. Somebody from our IR team will contact them and bring you through the process. We ensure that everybody is accredited before they can invest in a project. If you’re a borrower, the same thing. You go to our site, you fill out a simple form, a loan officer will contact you and get you through the process and get you to the closing table as quickly as possible. Robert Helms: What some of the critics say about crowdfunding is a lot of the deals don’t happen. In this case, the deal has happened. You guys have already funded it. It’s not a matter of, “I pledge $5,000 or $100,000 if the loan happens.” It’s already happened. I guess by the time that they see it on your site, it’s a done deal. Doug Cochrane: It’s a done deal. The minute that they invest in the project, their money is working right away. We pay out dividends every month. They’re based off of borrower payment dependent notes. The second that you’re investing, your money’s at work. Robert Helms: Can people invest with their IRAs? Robert Helms: Okay. That’s pretty common today that people with self directed IRAs are looking for this kind of investment. Robert Helms: Let’s talk about the timeline. What’s the typical underwriting look like for on the developer side? I come to you with a project. I’m looking for funding. What’s that time period like? Doug Cochrane: On the residential side, one to fours, we can typically close a loan within two weeks. We move pretty quickly. We’ve done it in five days, which is moving boulders. Honestly for our developers, the guys who are really organized and professional, those are the ones that we can get done very quickly. They know what they’re doing and it’s a pretty simple process. Robert Helms: How does the loan compare on a competitive basis with some other loan they might get from a local bank or a lender? Doug Cochrane: It’s very competitive. We, again, we’re a nationwide lender and we stay competitive within regions. Different regions have different pricing scales. Loans are priced based on the inherent risks, LTVs and experience and where it’s located, is it judicial, non-judicial. We have a whole proprietary scoring model when we’re pricing out loans that take into account all these different data points. We’re very competitive in that respect. For our borrowers, our borrowers are guys who are getting great deals. Part of getting a great deal is being able to move quickly. That’s part of our biggest benefit is, like I said, we were able to close a deal in five days, which was pretty impressive and got us a borrower for life I think. Robert Helms: Oh, wow. That’s awesome. Doug Cochrane: On our commercial deals, we typically can close those out in about three to four weeks. They take a little longer. It’s a little more intense. Robert Helms: What kind of loan to values? Doug Cochrane: Loan to values on commercial deals it’s typically about 65%, maybe 70, depending on mitigating circumstances. On the residential side of things, if it’s a straight purchase, no renovations, typically about 75%. If there’s renovations involved, which is most of the time, it’s the majority of the kind of deals that we do, we look at a combined loan to value of 80%. What we’ll do is we’ll help finance the purchase of the property and the renovations as well. Robert Helms: If you are looking at a deal and it’s passed muster for you guys, you make the loan, now you go out and look for the crowd. How long does it typically take for a loan to fund? Doug Cochrane: That’s a great question. We’ve had loans … Our fastest loan filled up in about nine minutes. Robert Helms: Okay, that’s pretty fast. Doug Cochrane: I think that was about $200, $250,000 loan. Our average loan size is about 375. On average our loans close out in about 24 hours. For the larger ones it might take a little longer. Maybe a week. Robert Helms: What kind of terms are these loans. Is this long-term financing? Is it more construction financing? Or is it all of the above? Doug Cochrane: It’s short-term, typically 12 months. Interest only, no pre-paid penalties. We can go out as far as 18 months. We work with our developers. If we know that the renovation’s going to take a little bit longer, it’s up in Minnesota, it’s up in the northern regions and it’s wintertime, we kind of help take that into consideration that they might need a little extra time. We’ll give them an 18 month loan. We’re not trying to restrict anyone in their deals. We’re trying to work with our borrowers and individual circumstances. For the most part they’re 12 month, interest only, no pre-paid penalties. Robert Helms: Doug, let’s talk geography. What kind of range of area do you guys work in? Doug Cochrane: We’re nationwide. We’re currently in 20 states. We’re always looking to open up a new state. We have a high concentration in, I’d say, New Jersey, North Carolina, Florida, California. We’re, like I said, I Chicago. We do definitely like the Chicago area a lot as well, or I guess our borrowers like us there. Robert Helms: All right, so whether or not you’re looking for a loan or you’re looking to invest in part of a loan, just go to the website at PatchofLand.com. Robert Helms: All right, good stuff. Thanks, Doug. Appreciate it. Doug Cochrane: Thank you, Robert. Thanks for having me on. Welcome back to the Real Estate Guys Radio Program. We’re talking single family houses. We’re in Phoenix, Arizona at the IMN Single Family Rental Investment Forum, and it’s a great pleasure to say hello to a long-term friend and fellow broadcaster, the amazing Kathy Fettke is with us. Hi, Kathy. Robert Helms: It’s been too long. Kathy Fettke: It has been way too long. It’s so fun to see you here at this amazing conference. Robert Helms: Absolutely. We like to say that you’re one of the good gals out there educating and sharing ideas and all that kind of stuff. How long have you had your radio show. Kathy Fettke: So long, it feels like. I started in, I think, 2000. Robert Helms: Okay, so been doing it quite a while. Tell us today what you see as opportunity in the marketplace and what are you sharing with your students. Kathy Fettke: I’m really just excited to see that I’m right. I’m around, we’re sitting here with these, the largest institutional investors in the world right here at this event and they’re copying us. Robert Helms: Isn’t that something? Kathy Fettke: Isn’t that interesting? Everything that comes out of their mouth, I think you and I said first. Don’t you think? Robert Helms: Yeah, that’s pretty funny that that’s the case. Kathy Fettke: Do you think they listen to us? Robert Helms: I’m guessing maybe so. What’s funny, I don’t know if you track your broadcast listenership, we learned that our number one listener market is Washington DC. Kathy Fettke: They are listening. Robert Helms: I never would have guessed that, but I think maybe they are listening. It is, it’s validation. Robert Helms: Ten years ago a conference like this wouldn’t be attended by so many suits and ties, right? Kathy Fettke: Of course, it would be mom and pops. Robert Helms: It is very interesting the first day one of the slides was up it was the majority of single family homes are owned by mom and pops, by a person who owns one rental house. Robert Helms: There aren’t that many big institutions, but there’s more and more. Kathy Fettke: It’s very interesting to see how they’re trying to make this into an industry, and they’re here to stay. Probably the biggest thing I got from this event is that they see the rental market growing, which you and I both know is happening. All the reasons and the data behind that why people are leaning towards renting or they just can’t buy, although I’m going to constantly be encouraging them to do it. They should be buying. That is just an incredible … I thought we had the best opportunity in 2008, 2009, and I, you know, sometimes wish we could turn back the clock. Then to see these big players jumping in now? You got to know it’s not too late. Kathy Fettke: I remember when I first got into real estate, I would look at people who bought long ago and be a little jealous, you know. Just a little envious. You got in at the right time. You know, the same thing in looking back at 2009. It’s like, you could buy a house in Riverside for $65,0000. Why didn’t I buy 1,000? Again, to see so much hype over what you and I and many of our listeners have been doing forever is really interesting. I’m a little fearful, tiny bit, that they’re going to just completely take it over. But like you said, nah, that can’t happen. Robert Helms: Well yeah. A couple things that have happened about that, right? The first big groups that came in after the carnage and bought stuff in a lot of the markets that we have experience in, we thought that was going to be a game changer. It was for a little while. To me, this new crop of folks seems to be a little better funded, a little more sophisticated. They’re buying better. They are taking some of the things that you’ve been teaching for a long time and following that, where before it was just hot money chasing whatever deals. Because the pricing was low, and we’ve had now home price appreciation, then it looks like they did well. Today it seems like you’ve got to still sharpen your pencil. You’ve got to be careful of market selection. You’ve certainly got to be careful of tenant screening. All the basics of our business. It’s going to continue to be important. Kathy Fettke: What I love about what I’m seeing here is it really truly is turning into a viable industry. I just walked down the aisles and you’ve got all these companies who are wanting to profit on this new thing. You’ve got these carpet companies that are offering cheaper discounts, and roofing and so forth. In some ways I think it will become easier for the mom and pop, because they’ll just be better property managers out there and they’ll be better screening process and there’s all this software’s out there now that’s helping us do our research more. I think for me, again, it’s just really interesting to see. I feel a little old. Like, “Back in the day we used to have to do all this ourselves.” It’s becoming institutionalized. Robert Helms: You know some of these … One of the panels yesterday where the eldest company was touting the fact that we were formed way back in 2008. Oh, wow, since the dawn of time. We had real estate before that, right? It is changed. The very nature of the single family asset class now is different. A tenanted house is a different asset than an empty house, than an owner occupied house. Even though you’ve got multiple exit strategies, it’s one of the strengths of single family, and on our show we spend a lot more time on broader economics and we look at a lot of different stuff. We don’t spend as much time on single family as we certainly used to. This has been a really great thing for us to get our minds back into the single family home space. Kathy Fettke: Yeah, I bet. Some of the most brilliant minds are here. Hearing their enthusiasm … Just hearing them talk about the stuff we have been, or at least I for sure have been talking about for years, which is cash flow, cash flow, cash flow, and then to have them basically say the market only wants cash flow, they don’t even care about the equity. There doesn’t seem to be value on it on the market. They’re just trying to build these cash flow portfolios that then they can sell, which is kind of … I know there’s an appetite on Wall Street for that in anything. The software companies, the friends I know who own software companies, they’re just looking to create the membership sites and so forth. It’s all about cash flow. Again, it’s such an opportunity now to hopefully maybe even train the tenant. As standards rise, tenants may not be able to get away with some of the things they’ve been doing. Robert Helms: Yeah. In the age of information, more information available than ever, even the whole tenant screening process has changed. I remember certainly right after the big ugliness of the crash, your tenant had no credit score. You could no longer even use, it was no longer valid to even ask because everyone had lost a home, lost a job, lost their credit. Today they’re looking at different things, technology. Just walk into the exhibit hall here, all kinds of ways to make our lives easier as investors. That’s exciting. Your listeners, our listeners, can be very nimble. They can move quicker. That’s the other thing. The bigger the industry gets, the more there are chances to exploit those little unique opportunities, some of the smaller markets that you might favor as opposed to a larger market and looking for where there is opportunities, the market shifts. It changes. Today’s great market wasn’t great 10 years ago necessarily. Kathy Fettke: No, no. Again, that’s how I got started. That’s again why I find this all really fascinating because back in 2004, 2005, I was doing loans. No matter what the headline news said, no matter what the chief economist of whatever came out with, I knew something was wrong. None of it made sense. Robert Helms: Something has to be wrong here. Robert Helms: Of course now we know how that turned out. Robert Helms: Yet it does seem like there’s liquidity back in the lending side of the business again. We’re starting, I don’t know if it’s the same path or not. Don’t have a crystal ball. There was a period of time where you couldn’t get a loan and now there is. What’s really interesting, I’ve discovered it here, I don’t know if you’ve seen it, but the lenders that are showing up that are specifically lending to investors, not any interest in loaning to an owner occupant, they’re just investor lenders from one to 100 units. That’s pretty good stuff. Kathy Fettke: Yeah, it’s amazing. Back then when I was seeing the problem and we knew that there was, that California was over inflated, I got to have Robert Kiyosaki on the show and just like you and some people who had been around enough to know that something was wrong. They weren’t listening to the economists either. They were the ones that told me they were investing in Dallas. Robert Helms: All the markets that were the high run of markets were the worst when it came to the exits and Texas was pretty slow and steady. Today there are Texas markets appreciating 12 and 15% a year. Is it time to be wary of Texas? I don’t know. Tell us how we can listen to the podcast and get involved with the Real Wealth network. Kathy Fettke: Wonderful. You can look at RealWealthShow.com or Real Wealth Show on iTunes, and then Real Wealth Network is how you find us. Membership is free and we just do a lot of education on how to be a smart real estate investor. Robert Helms: That’s what we love about you. Robert Helms: Thanks for being on the show. Kathy Fettke: Thanks so much. Robert Helms: There’s Kathy Fettke. More when we come back. I am your host Robert Helms. We’re the Real Estate Guys. Welcome back to the Real Estate Guys Radio Program. We’re in Phoenix, Arizona this week at the single family expo. This has been a pretty amazing event and one of the greatest things for us is when we run into listeners. Let’s welcome one of our long-term listeners and successful students, Sep Bekam. How are you, Sep? Sep: Good, Robert. How are you? Robert Helms: I’m great. First of all, thanks for reminding us about this event. I had been to a couple of the IMN shows over the years and I’ve been on their mailing list, but you reached out and said, “You guys ought to consider coming to this.” This has been a great event. Sep: Yeah, glad to hear that. Robert Helms: Let’s talk about your story a little bit. I think when we first met you were still active as an engineer and you got the real estate bug. Tell us your story. Sep: Sure. So I am a long-time listener. I’ve been listening to you guys since, I think it was 2010. Bought a couple properties, just two four-plexes and came to the first syndication event that was in 2011. Since then, with the tools that you guys have provided me and taught me over the years, I’ve been able to scale that up. I quit the rat race last year and I’ve been focusing primarily on multifamily syndication. Most of the properties were taking what you guys taught me and putting that into real life. The challenge has been, multifamily has been, the cap rates have gone down quite a bit. There’s a lot more competition. Russ talks about a lot of the, even foreign capital has just wanting to be in US dollars. It’s hard to find the yields that my investors are used to with that asset class. I came across the IMN events through some mutual friends, also Real Estate Guys listeners, and focusing more on syndicating these portfolio-type deals. Robert Helms: Let’s talk about this transition that you made from investing in your own account to now going out and raising money to invest. That’s a big jump for a lot of people. Take us through what that was like. Sep: Sure. You hear a lot of success stories where everything goes right the first time, where the properties cash flow automatically. My experience was very different. It took me two years to get my first, actually all the properties I had at the time, to cash flow. To date, I’ve gone through about 10 property management companies and I’m still a firm believer in using third party property management. All the challenges that I had with the evictions and not being able to produce the income, it was always an owner problem. It was not having the right team managing that asset. You guys are really big in terms of having those systems in place and treating real estate like a business and not about the properties. Along the way, as I was able to solve those problems with having the right team, that I’m thankful for, I’ve communicated that with my investors and I think they actually feel more secure in being a part of that type of pool of capital for a deal. They don’t have to go mistakes their own. They can leverage my experience and know there’s a good steward at the ship to protect their capital. Robert Helms: It’s such a good point. People want to invest with someone who’s been there and seen that. Everyone wants to think we have a good track record, but the lessons you learn when things don’t go well make you a better manager as things get better, right? It’s not about not making mistakes. It’s about learning from the things that go wrong. You’re a great student. I know that because you keep coming back and you put into practice what you learn, which is rare but necessary to be successful. We were talking earlier today with some folks about how when the market changes you need to correct your strategy. You give a great example of that. Multifamily makes sense for a lot of reasons, but right now where we sit, it’s hard to get inventory, the cap rates are compressed, the big guys are chasing the little guys out of the room. Let’s talk about the single family market. That’s an interesting market. We’re starting to see the opposite effect having, where bigger money’s coming into the single family space. We’ve been talking about that here at this event for a couple days. What are your take always, your epiphanies, from what you’ve been learning in the last couple days here? Sep: Sure. In essence, the hedge fund and these REITS got into buying these thousands and thousands of properties back during the recession when the, if I can phrase it as, there was blood on the streets at the time. They were taking advantage of the opportunity and they kind of created that space. Before the notion, including myself, was that single family, well, you can only do 10 properties and then from there you have to go on to … you ran out of Fannie and Freddie type financing. Now there’s actually lenders that step in to fill in the void. There’s not really a cap on how many single families you can have. In terms of thinking about the forward economy, if we’re buying a property, multifamily property at a compressed cap rate, that’s a speculation if we’re expecting that same property to have that same cap rate three years from now, five years from now. I think it’s safer to be in an asset class where the rents are still inelastic but the numbers make sense from the get go. You don’t have as much competition in there. It’s really interesting in these panels at the conference where the REITs and these large fund managers are talking about the same concepts and ideas that you and Russ talk about on your podcast. A couple years ago this was foreign concept to me. With you guys’ training and teaching it kind of opened my mind to that. I can see what they’re saying. They’re concerned about the same thing, slower wage growth. They’re going more for those markets where it makes sense at the get go. Robert Helms: Yep, and it is a changing platform, right? We see the various asset classes within real estate change, fall in and out of favor. As an investor you got to be nimble. I think one of the big things that people get stuck on is our motto, “Education for Effective Action.” You’re a guy that’s taken action. What would you say to a listener out there as a word of encouragement. You’ve worked hard and we’ve watched you really take the lessons and sharpen your pencil and study and take a lot of classes. You’ve now gotten to the place where you’ve got a nice portfolio, things are going well. 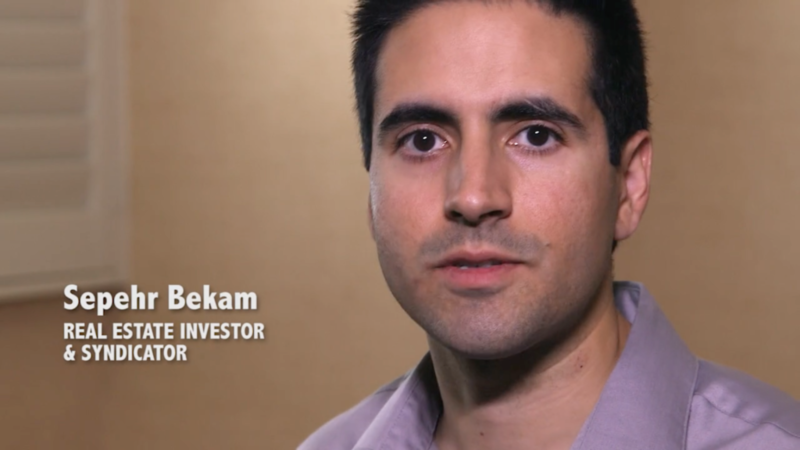 What would you say to that investor who’s not there yet? Sep: I think it’s better to invest in themselves, for them to invest in their own education. Even after I went through your guys’ trainings, as I continue to do so, the properties I first started out with, I probably wouldn’t have bought them with the extra tools that I have on my tool belt now. It’s powerful because then you learn that you’re not competing for properties on the MLS. You can find those great off market deals. You can set up systems in place so that those deals come to you automatically. You don’t need to put 25% down in every deal. You can go raise that capital from investors and have the capital waiting for you over there. I think the education is definitely necessary, especially if you’re shy like me and sales doesn’t come naturally. If you’re afraid about making mistakes, I think those are definitely the people that should be in the business, because there’s a lot of sharks out there, but there’s definitely a need for people that actually want to protect their investor’s capital and grow that. Robert Helms: All right, good stuff. We’ve got, of course, our syndication event coming up in January. Are we going to see you again at that one? Robert Helms: All right. Sep has been I think to virtually every syndication event we’ve done. It’s happening January 29th and 30th in Phoenix, Arizona. Come on out. You’ll have a great time and you get to hang out with Sep, as well. Appreciate your time today, man. Sep: Thank you very much, Robert. Robert Helms: Keep doing the thing. A wonderful time here in Phoenix, Arizona. What a great variety of folks we’ve had on the show today. Russell Gray: Yeah, it’s been great. It’s really interesting to see some old, familiar faces. It’s always great when listeners, you guys are out there in the audience, any time you come to a live event, please come see us. Say hello. Robert Helms: It’s our favorite thing. Russell Gray: It’s a lot of fun because we get a chance to hear how people are responding to the stuff we’re sticking out here on the radio and on the podcast and the newsletter and the blogs and all that. We really appreciate the feedback, good, bad, and ugly. All of that’s good. Just as far as the conference itself, you know you heard that there’s just a lot of different people here that are viewing this asset class from different lenses. There’s so much opportunity because there’s so much change. I think the big issue is going to be for people who just don’t acknowledge that the change is happening. We spend a lot of time on some of the macroeconomic factors. We talk about even some geopolitical factors on the show. We certainly talk about demographic factors, there’s geographic factors. Add to that mix now some technological factors and some business factors. There’s a whole level of sophistication coming into this industry that really didn’t exist before. When you have that it does tighten the margins. You can’t just be a sloppy little operator out there competing against these big, well-oiled machines that are run by corporate executives that are savvy operationally. You’re going to have to compete against that, and they’re going to be able to bid. We’ve heard a lot of the complaints over the years from the operators out there that are bidding, “Oh, these hedge funds are bidding it up to where it doesn’t make any sense.” Well, it doesn’t make any sense based on your operational cost. They can go in and they can buy an inefficient asset and they can make it efficient. All of a sudden, a price that didn’t make sense for you can make sense for them. If you don’t adjust, if you don’t take advantage of some of these innovations and tools yourself, then you’re going to end up getting squeezed out of the market completely. Robert Helms: Here’s the great news. Because those kinds of folks are in the marketplace, and vendors are sprouting up to support them, the fact that there are so many different non-owner-occupant lending opportunities out there today … You can borrow property now. The Fannie and Freddie stop is no longer there because of that. That’s all happened to serve these folks, and you get to be the beneficiary of it. If it had just been mom and pops, the lenders that are popping up today, several of which are on this conference, wouldn’t be here. They’re in the business to service the guy with 500 or 1000 homes, but you get to benefit from that. Same with software, same with systems, same with buying power. A lot of the tools out there today, we get to take advantage of. The thing the individual investor can be is a lot more nimble. Russell Gray: I think just coming back to that debt comment, which is an important one, a lot of times as real estate investors we only ever think about equity. It’s all we think about. We think, “Okay, we’re going to buy the property. We’re going to be the owner.” We’re on the equity side of things. There are a lot of people who want to invest in the space that don’t want to be the equity. Their investment is to make the loan. That’s a great partnership. Yes, they’re there to service from an equity perspective. Of course, you’re an equity guy, so you would do that. I came out of the debt side, right? Yes, you want to service, but really what you want to do is you want to get yourself in a position to get a stream of income. As a real estate investor I’m going to go out there, I’m going to make a down payment. I’m going to take out a loan. I’m going to now receive a stream of income through the rental income. Then I’m going to service the mortgage. The piece of this rental income stream that the lender gets is just the debt service. I get the difference between the profit, or the income on the property and the loan. Of course that’s what I’m doing is arbitraging. If I can borrow at five and earn at eight, then I make a 3% spread on the borrowed money, right? The point is, it’s a symbiotic relationship. There are many people who want to feed on the single family home space at an institutional level. When that happens, lots of money becomes available. That means there’s lots of opportunity for people to access those funds, because the people on the debt side need you, on the equity side, to manage the asset because they don’t want to. Robert Helms: All right. Big thanks to IMN. You can find out what they do at IMN.org. Lots of conferences in lots of places. Of course, to all the guests today, thanks for their time and expertise. Until next week, go out and make some equity happen. Attorney Mauricio Rauld updates us on the new crowdfunding rules issued by the SEC. Finally, the doors are opening for non-accredited real estate investors to get in on private equity opportunities. rules…or risk running afoul of the regulators. Robert: Welcome to The Real Estate Guys Radio Program. Thanks for tuning into the show. I’m Robert Helms your host along with our co-host financial strategist, Russell Gray. Robert: It is the most wonderful time of the year. Robert: We are rounding down the year 2015 and off to the New Year, which we’re always excited about. Russ: I don’t know man. After Thanksgiving, I think I’m kind of rounding out. Robert: Definitely. Round is a shape, and I’m definitely in shape. In fact, our real estate trivia question, not jumping too far ahead, has something to do with that very topic, and it’s related to real estate if you can believe that. Robert: We’ve got a lot to talk about today. There has just been some news at the very end of October about the SEC finally adopting the new rules for the part of crowdfunding, Title III of crowdfunding, that allows little guys and gals to invest in all kinds of new stuff. Just to bring everyone up to speed, no investor left behind, let’s talk about crowdfunding. Russ: The basic concept is … it’s really more of a technology platform than anything else … but the basic notion is that you can raise money from the crowd, hence the name crowdfunding. Brilliant name. It really supposes that you have a crowd. So, the first order of business is to have a crowd. A lot of people are throwing these things up there just thinking, “hey, if we put it up there people will come”. But there’s rules involved. There’s always been rules involved in raising money. Russ: Before technology ever came into existence in the space, it was really just a matter of making sure that investments were suitable, if you will. They had to put that responsibility on somebody. So, if you wanted to go put money in somebody’s safekeeping and someone was going to turn a business into doing that, they called that a bank, and that was regulated. If you wanted to be in the insurance business and you wanted to pool money and then go out there and cover people for risks, that was a financial business covered under insurance laws. If you wanted to go out there and raise money and then invest it on other people’s behalf, that was regulated by the Securities and Exchange Commission and laws regulated the rules by which you could do that. And most of them were that you could only do business with people you knew. You had to have a preexisting relationship. There had to be some basis. You just couldn’t go raise money from a bunch of strangers. It was designed, presumably, to protect people from guys just going out there and hustling, just conning people. Of course, it didn’t stop people from doing that because like with most laws, criminals don’t obey them. They just do what they want to do, but at least if you get caught doing something like that, the legal system has grounds to come in and shut you down. In the Jobs Act a few years back, which was a fancy acronym for creating jobs, the government decided that it would be a good idea, because the banks and credit had basically seized up in the financial crisis, to loosen things up so that the money would be able to flow more quickly from people who had it to people who could put it to work. Inside of this legislation, there was a lot of different stuff, but there was a component of it that was going to open it up to where you could raise money from people that you did not have a preexisting relationship with, and they divided those groups of people into two categories. One was accredited investors who have always been treated differently. That basically is if you have a million dollar net worth, make $200,000 a year as an individual or over $300,000 a year as a couple. And, that’s consistent. Meaning, it’s happened for the last couple of years and you have reasonable expectancy of doing it in the upcoming year. Then, you’re qualified as accredited under the law. That means that if I’m out there and I’m a purveyor of some type of an investment opportunity, I can run and ad and stick you in a room and pitch you my deal. If you say yes, you could put the money in and now I’m compliant with the law. That was a big, big game changer. We’ve written a report on that. We’ve been talking about that for quite a while. Robert: We’ve covered conferences of crowdfunding, and there’s been anticipation of this whole thing. Let’s step back for a minute. Crowdfunding started as non-economic participation model. Meaning, there were crowdfunding sites like Kickstarter, which is probably the best known one. But, there are several of them where an independent rock band or an artist can go out and raise money for their next show or recording or whatever it is, and individuals could put that money up, typically via websites and get something in return that was non-monetary. I couldn’t get a return on my investment, but I could a tee shirt from the band or an autographed CD. So, crowdfunding has been around even longer than the Jobs Act. The idea of saying well what if I put up money and wanted a return. That all of a sudden becomes a security and is regulated by the SEC. Russ: It depends on if it becomes a security. Because there’s the equity side and there’s debt side like peer-to-peer lending platforms like Prosper and there’s a couple of other ones out there like that. These are platforms where people say, I want to borrow some money and so you can invest in my debt. You’re going to loan me some money and I’m go do whatever I’m going to do with it and then I pay you back. That was kind of the next level. Where these Securities and Exchange Laws really come in to play are in the equity side. When you’re going to be an owner in the company or you’re going to be an owner in the entity if you will. That’s where they had divided people up to accredited, presumably you were sophisticated and could afford the risk and then non-accredited meant that you were underneath that million-dollar net worth threshold or you were underneath that $200,000 or $300,000 earning threshold. Robert: Which most people are, by the way. Russ: Yeah, whatever. We could go off on that. The point is, these types of investments were really for insiders and they weren’t available for the little guy to get involved in. This latest iteration of the Jobs Act which is really … the way it works is Congress passes a law. It’s a statute. Then, they turn it over to the bureaucrats, the people that have to actually implement the law, and they create what are called regulations. In this particular case, this was a law called the Jobs Act that created a statute that made this permissible. Robert: More than two years ago. Russ: According to Congress, and then it got turned over to the SEC whose job it was to create the regulations that everybody would use to follow that. The first set of regulations they came out with was in September 2013 about how you could do this for accredited investors. The latest and greatest now here we are in late 2015 is that now the regulations have come out so how does the game get played when you’re going to make an offering to non-accredited investors, which arguably is a lot bigger market so we’re going to find out about that today. Robert: Absolutely. It’s good news, but it also is brand new. So, when the first part of this came out and accredited investors could not be prospected by these various folks raising money, we call them promoters or syndicators, someone who is looking to raise capital from somebody, it opened up this new world of opportunity. We have a report on that and it’s been a big topic of conversation in Real Estate Guys circles. To get your copy of the report, just send an email to monopoly@realestaterguysradio.com or you can visit the special reports section in our resource center at realestateguysradio.com. The big change now is the fact that there are a lot more rules, and there are companies that have been in position for this to happen for months and months and months and in fact years. Finally, we’re going to see where it all lays. Even though we had, since 2013 all the regulations for the accredited investors, as you probably heard on our Halloween horror stories episode, attorney Mauricio Rauld recounted the fact that one of his clients who used these exact rules and went out and prospected and got people in a room got contacted by the state saying, “hey, there’s been a complaint”. My point in that is even though it becomes law, it doesn’t mean that it’s evident yet. Russ: In real estate circles the term LLC, the concept of an entity called the limited liability company has just been kicking around for a long time. It’s pretty ubiquitous. Everybody knows about it. Most people use it. The LLCs didn’t exist in the ’90s, right? Russ: It was like the late ’90s, like ’97 or something LLCs really started to come out. The problem was a lot of attorneys back in the beginning were not willing to recommend it. They still recommended corporations or trusts. Why? Because there was a whole lot more established case law. Somebody has got to be the pioneer. Somebody has got to go out and take new law and then try it out and then figure out how the courts are really going to interpret it when there becomes a conflict. That’s because the way our system of law is, it isn’t so much what the law says, it’s really what the law intended. That leaves some room for interpretation and that’s where a lot of people get hung up. When you go to your attorney and you’re asking them for legal advice, it’s harder for them to give it to you because they don’t have court precedents to look at. As this progresses and the pioneers go out and pave the way, what will happen is more and more of this will become more clear. In fact, one of the reasons we think that we’ve gotten these regulations finally from the SEC for the non-accredited, which is arguably the little guy they’re trying harder to protect than the big guy, is because they rolled out the regulations with the big guys a couple of years ago, and they really have had very few problems. Because of that, they presumably feel safer, “hey, let’s go ahead and roll it out for the little guys now too”. Or maybe it just takes two extra years to write those few extra lines of regulations. I don’t know. Robert: That could be as well. Our guest today is attorney Mauricio Rauld, he’s a practicing attorney licensed in California but he does a lot of consultation with folks who are raising capital. In fact, he’s one of our featured speakers at our syndication events. When we come back, Mauricio will fill us in on the latest with crowd funding today on the Real Estate Guys Radio Program. Welcome back to the Real Estate Guys Radio Program. We’re talking today about the new changes in the ability to raise capital through crowd funding. Joining us now, our good friend and attorney Mauricio Rauld. How are you sir? Mauricio: I’m doing great Robert, thanks for having be back! Robert: Well, absolutely. I’ve been waiting to do this show until the rules were finally set. For listeners that didn’t hear the show, probably our first one was a couple of years ago when this was announced, that all of a sudden the rules are changing in terms the ability to raise money and there were a couple of different ways to go about crowdfunding. But of course like anything that is actually law, it has taken a long time for the government to finally give us what the rules are. So, paint the picture of that. Where are we in the process of feeling like we know what’s happening? Mauricio: Yeah, I feel like we’ve been talking about this forever. This started, just to kind of take a step back, this started back in April 2012. We’ve been talking about this for almost three-and-a-half years. This is the infamous Jobs Act. In that act, essentially there was two new ways of raising capital. One was allowing people to advertise and generally solicit the syndication that you were doing. Robert: Which is a big one because previously you couldn’t do that. You couldn’t have any public display. You couldn’t go out and advertise, promote. You couldn’t put ads in the paper. You couldn’t do any of that in a private placement. Mauricio: Absolutely. That was one of the big restrictions that we had and so that lifting of that ban was a huge, huge new rule for us investors. The only caveat with that of course, was that you had to limit your investors to accredited investors only, and you had to take some reasonable steps to verify that they were accredited. That was good. That took a couple of years to implement, not so much two years. It’s been in the books for a couple of years but this new one with the crowdfunding sort of addresses that gap which even though now you can advertise and solicit to accredited investors, you still can’t do for non-accredited investors and this law was meant to address that gap. Robert: Accreditation, no investor left behind. Most of the folks listening understand that but if you don’t, it just means that there is a financial requirement for you to be able to invest. Accredited rules change all the time, but it has to do with how much income a person makes and what their net worth is. And you can find that out by Googling around. Mauricio: I’ll tell you real quick because it does apply somewhat to what we’re going to talk about. Accredited investors, if you make over $200,000 a year for the last couple of years then you’re accredited. Or, if you have over a million dollars in net worth exclusive of your personal residence. Robert: Okay, that’s the rule. Again, these things do change so make sure, depending on when you listen to this, that that’s still the rule. But the idea is, if I’ve earned that much money or I make that much money, the government feels that I’ve earned the right to make my own investment decisions. If I’m not accredited and I haven’t amassed a net worth of a million dollars separate from my house, and I don’t make $200,000 a year, obviously I can’t make my own financial decision, I need some help. To protect the folks out there from being fleeced by these promoters, these are the rules. Like it or not, doesn’t matter. The reality is I could make the argument that you could be a lot more fleeced in the stock market or in bonds or in whatever other pyramid scheme the government has going on, but it doesn’t matter. These are the rules. The thinking behind it, the more sophisticated an investor is, probably has some parallel to how much money they have made or make. Mauricio: There’s a lot of controversy as to whether that’s a good measuring stick, but that’s exactly right. If you’re non-accredited, the law assumes you’re not sophisticated, and therefore, you have a requirement to provide additional disclosures to these investors, because again, they assume they’re not quite sophisticated. Robert: We knew kind of what the framework of this looked like but the actual law hadn’t been written. We didn’t have the concrete parameters we could go after and it’s my understanding that we now do. Mauricio: We do, it actually happened October 30th, so on Halloween or just before Halloween. 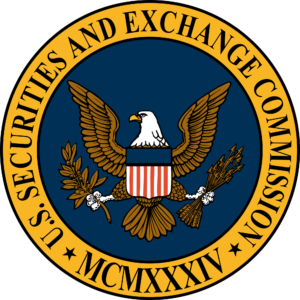 Again, it’s been three-and-a-half years in the making, because even though the laws are passed three-and-a-half years ago, they require that the Securities and Exchange Commission, the SEC actually make some rules. The law is a little bit broad, a little bit vague, and now somebody had to go and actually make the specific rules. We didn’t think it was going to take three-and-a-half years. They were actually mandated to do it within six months but they obviously didn’t listen, and it took a while. Robert: It took longer, the government took longer, that’s amazing. Robert: All right, now the good news is we have these rules. Now this doesn’t mean, those of you raising money for real estate projects that you can go out and assault people to invest. There are still some rules and parameters and the way that this money gets raised has also been dictated. Let’s talk about that. Mauricio: Yeah, let’s talk about that a little bit. I’m going to talk very general here because the actual rule is 685 pages. It’s got some complexity into it, but I think I’ve sort of narrowed it down to really three important points that I want to discuss. The first one is that you are, like you mentioned, you can’t just go out and start raising money on your own. You have to use what is called an intermediary, which essentially is a website. They call it a portal that is approved by the SEC. Robert: We’ve already seen these kinds of websites out there and of course, there have been websites for traditional crowdfunding, which isn’t economically based, if I’m going to put some money in to support my friend’s independent film or recording project or whatever. But now the idea is it’s not necessarily vetted or sanctioned but the website is. This portal, this particular venue to accumulate these types of investors as well as these types of projects. Mauricio: They’re going to be vetted pretty heavily by the SEC. You’re going to have financial disclosures. They’re going to have to show that you’re able to do this. You’re not allowed to go set it up on your own. It’s not like the other crowdfunding that we’ve heard about now with the accredited investors that we just talked about where you could set up your own website and advertise your deal. Here, you have to go through this portal, and all you can do really is point to the portal. In your advertising, you can say I’ve got a deal, it’s in this particular portal, go check it out over there and then the investor would have to go the portal, open up an account with them and then go through the process. Robert: The point is these portals, and again, anticipating this law being finalized, these have been in the works for years. The idea is there’s two memberships bases of this. There’s the membership of the individual investors who want to see deals and then there’s the promoters, the syndicators that have deals to put up there, and both sides have to become vetted if you will from the portal. Mauricio: Right. The portal is going to have all kinds of education material, obviously information about the syndication itself, which is most likely going to be provided by the sponsor. But the investor is going to have a lot of information available to them prior to making their investment decision. Robert: Let’s talk about the parameters of an investment, because these are non-accredited investors, there are also rules about how much they can invest. Mauricio: There are actually two main rules. One is the amount of money that you as the sponsor can raise through these portals. Robert: Okay, if I’m out there doing a real estate deal and I want to raise money, I’ve got a maximum. Mauricio: Your maximum is one million dollars for any 12-month period. Robert: Okay, so I can do two deals at $500,00 each? Mauricio: You can do two deals at $500,000 each, it’s an aggregate amount of how much money you raise over that 12-month period. Robert: While we’re on that topic, here’s a quick question. Say I’m raising two million dollars and I have a buddy putting in a million. Can I raise the other million this way or is it just the project can be maximum of a million dollars? Mauricio: There’s nothing that prevents you from still raising money sort of in a parallel course where you can raise a million dollars from this new … I’m going to call it regulated crowdfunding because that’s what the SEC is calling it. The regulated crowdfunding you can raise a million dollars but that doesn’t prevent you if you can find another exemption. You can raise another million or five million or ten million through another existing exemption to registration. But the one that relies on this particular law, limits you to a million dollars through this process. Robert: What about the investor’s side? What’s their limitation? Mauricio: It depends on how much money they make or how much net worth they have. It’s a little bit different than the accredited investors. The cut off is essentially $100,000. If your earn $100,000 or less or you have net worth of $100,000 or less, you’re limited to either $2,000 or 5% of the lowest of those two numbers. I’ll let you do the math, but that’s the restriction. I think most people will fit into that $2,000 number based on those numbers but that’s limitation number one. Now, there are scenarios where you really could be an accredited investor for example. You could be a doctor or a lawyer making $200,000 a year but because of student loans, because of whatever other decisions you’ve made, your net worth might be $80,000. Even though you’re an accredited investor, you’re going to be limited to 5% of that $80,000 because that’s your lower amount. Robert: Using a portal. You wouldn’t have that same limitation if you were just investing as a doctor or a lawyer that had good income but lower net worth. Mauricio: That’s correct, using the portal, which again goes back to my prior point that if you have accredited investors, you may be able to rely on another exemption in order to raise additional funds and not really be part of this one million dollar traunch, let’s call it. Robert: Let’s say this $2,000 number if that’s the amount, is that again per deal or per year? Mauricio: It’s aggregate through the 12 months. You can invest up to $2,000 across the board, ten different deals at I guess, $200. Robert: All right, $2,000 for the investor, a million dollars for the promoter. As you can tell, this is why The Real Estate Guys have not held this out as the end all, be all for syndication. Because most of the deals people eventually do are going to be bigger than that, and frankly, having done this for a long time raising capital, raising $2,000 from a person, that might be most the expensive money you ever took in terms of their sophistication, the questions they have, dealing with communication, all that. I would much rather have ten guys at $100,000 than a hundred guys at a couple thousand. Robert: But not yet accredited. Mauricio: But not yet accredited. Then, your limitation is 10% of either your net worth or your income, whatever is lowest with and the big caveat of a cap, a complete cap of $100,000. If you’re an investor who has 10 million dollars in net worth and makes 5 million dollars a year, you’re not going to be able to invest $500,000. Your cap is going to be $100,000 for a 12-month period. Robert: Let’s talk about the kind of deals that make sense for this. Obviously, if I’m raising money to go buy a $60,000 house that’s a rental property, this might work perfect well for that. I’ll be able to stay within my limit. I could do 10 of those a year and still be within my limit. I took ten investors with a $1,000, $1,500, or $2,000 and that could be a great way to play. This definitely serves a need. It’s just not the right tool for everybody. Mauricio: It’s also great I think if you’re raising money for a lending facility. If you’re trying to raise money that then in turn loans money, you can give yourself sort of a consistent rate of return. I think this also fits in part of your overall strategy. Again, this limitation is just for this particular exemption. Again, you could raise … Let’s say you’re doing a deal that you need 2.5 million dollars, a million of it can come from this regulated crowdfunding and then the other 1.5 million can be done through our traditional raises that we’re doing today either with accredited investors only through the preexisting relationships. Robert: All right, good stuff. We’re talking with Mauricio Rauld about the new crowdfunding rules and requirements. We’ll continue our discussion when we come back plus we’ll play real estate trivia next. You’re tuned to the Real Estate Guys Radio Program. I’m you’re host, Robert Helms. Robert: We’re talking about the new crowdfunding rules, specifically Title III crowdfunding, which is the new part that we’ve just finally gotten some clarity on, which is going to non-accredited investors through a portal and raising a smaller amount towards a smaller amount but still a lot of tools here. We use the vernacular, Mauricio of the person who is doing the deal as the syndicator, or sometimes we call that person the sponsor or the promoter. In the regulations, they’re referring to this person as an issuer? Mauricio: Right, that’s the legal term is an issuer, the person who is issuing or the company that is issuing the security. Robert: Let’s talk about the issuer. What requirements do they have? If I’m doing a deal and I want to go to one of these portals and say, hey put my deal up, what does that look like? Mauricio: It also depends on how much how money they’re raising. They’re really focusing on these limitations. It depends on how much you’re raising. If you’re raising less than $100,000 in your syndication, then all you need is a statement from your chief financial officer saying here are my financials. And basically the CFO gets to provide them, and you’re good. If you’re raising between $100,000 and $500,000, then you have to have your financials reviewed by an independent CPA. If you are raising more than $500,000, then you are going to need audited financials. Robert: Which are also expensive to get. Getting a CPA to take a look, that’s going to cost you something. Audited financials are a whole can of worms. Mauricio: It’s a whole new can of worms and it’s usually a little bit pricey depending on how big your company is and how much … but your CPA literally goes through every single line item and requests receipts. If you said it was a dollar, they confirm it’s a dollar. There’s some expense there. Then there are some general annual reporting requirements that the issuer needs to make every year just letting them know how the project is going and updating their financial information. Robert: Which is good practice anyway, right? What we tend to do when we raise money for a project is we do either a quarterly report or it could be a monthly report if it’s a very fast moving deal. It could just be an annual report if it’s like a long-term land bank. But you’re going to report anyway, so it makes sense that that’s there. Is there any scrutiny on the financials of the person involved. Not just to say my company is a company raising money to buy rental houses. But what about me, my credit, my past history, that kind of stuff? Mauricio: This is all dependent on the company that you’re issuing. A lot of times a company already exists. If your Microsoft and you want to go raise another 10 billion dollars or something. It’s an existing company, you’re already a startup. That’s one type of issuer that would require financials. Then there are others where you literally start a brand new company. It’s a real estate deal. It’s a deal specific thing. In those situations, there really aren’t any financials to provide because it’s a brand new company. As long as it’s not a way for you to get around the financial requirements, you don’t just create a shell company to avoid your real company. But if it’s truly a new company, then there really aren’t any financials to provide. Finally, there’s going to be some disclosure requirements that the issuer is going to have to make about their deal, which nobody should be surprised about. That’s what we do today. The difference is that the level of disclosure is not going to be anywhere near the type of disclosures we make now through private placement memorandums. Robert: That’s an important point. If I’m raising money through a portal, that means I don’t have to complete a full private placement memorandum? Mauricio: Right, you still have to make disclosures but they’re not going to be to the level of the disclosures that we typically make in a PPM, which are essentially the same disclosures you make if you’re going to register your security which are very detailed. Robert: I think about this from the investor’s point of view. They’re going to want to know the deal. You’re going to have what we may call an executive summary. Here’s the deal, here’s the parameters, here’s the market, here’s the property, here’s our best guesses about cost, or here’s the existing cost, all that stuff. Then you’re going to have these disclosures which say, “hey, you can lose money in real estate and here are some of the risks,” and those kinds of things. Are those disclosures and that executive summary, those are reviewed by the portal too to make sure they pass muster? Mauricio: Yeah, these are things we don’t know yet because obviously these portals haven’t even been created yet. Yes, I’m going to imagine that the portal is going to want to review and vet the deal themselves just from an exposure and liability standpoint. They’re going to want to make sure this is not a fraudulent deal. I’m not sure how in depth and detailed they’re going to review it, but they are going to have a review process and you’re going to have to convince a portal that your deal is good enough and legitimate enough to be on their site. Robert: I guess as an investor, I’m going to choose a portal that I feel comfortable is doing that work for me, but I also am going to have my own level of due diligence. Let’s take it from that point of view. Say you have an investor who is a client and they go, Mauricio I’m looking at putting $2,000 into this particular deal. Is there a reason or a place for my counsel to review a deal before I invest like it would typically be or do you get the feeling that, hey the portals handle all that? Mauricio: No, I wouldn’t rely on the portals. It’s not clear what level of scrutiny the portals are going to do but if a client comes to me and wants me to review the deal, I’m going to go through the disclosures and any information that’s been provided the client and point out whatever deficiencies or red flags that I see. I wouldn’t necessarily rely on the portal. I’m not sure you’re going to be entitled to rely on the portal. I would do your own due diligence if I was the investor investing the money. Robert: Just looking forward and already talking to a couple of the folks that are putting these portals together, there’s going to be a lot more, right? If you just go and look at any possible URL name that has crowdfunding in it, it’s been taken for years. People have already been anticipating this. I’m going to guess that we’re going to start to see personalities come out of these portals. They’re going to focus on certain niches or even geographies and things like that. It’s going to be incumbent upon the investor to make sure that the kind of deals that they’re interested in are being provided. I’m going to assume that either one side or other, and it’s probably the issuer, is going to pay a fee to the portal, maybe both sides. Any idea about any of that? Mauricio: I’ve seen some noise about concern that the amount that they’re going to be charging, the portals are going to be charging. Again, we don’t know what they’re going to be charging because they don’t exist yet but it may hinder your ability to raise small amounts. If you’re going to raise $100,000 and your portal is going to charge you 15%, that’s probably going to mess up with your numbers. Again, it’s all speculation. None of the portals exist. In fact, the registration for portal doesn’t begin until the end of January. One thing I should have mentioned at the beginning, even though the good news is that this is now law, there is still a six-month wait period before it becomes effective. This is won’t actually become effective until May 21 I think is the date. May 21 of next year is when you’re actually going to be legally allowed to do this. There is a six-month window that we’ve got to wait still. Robert: All right well between now and then, you’re going to be with us at the Secrets of Successful Syndication in January in Arizona, and I know we’re going to talk more about crowdfunding this time because of that. Mauricio: We are going to focus a lot of the time this time on crowdfunding because now that it’s final we know what it is and we’ll spend quite a bit of time with it. Robert: At the last couple of events, you’ve been talking about “hey, it’s coming, it’s coming,” so this is great on that account. For those of you who are driving or exercising or any of that kind of stuff and you weren’t taking notes, Mauricio has prepared a report. What he’s done is gone through the 600 plus pages and distilled it down. What’s in the report? Mauricio: The report essentially is a summary of the 685 pages. I’ve kind of tried to translate into English, number one which is very technical. Second of all, I’ve put together a report that essentially gives my top good, bad, and ugly of the new crowdfunding rules, so you can kind of get my thoughts on that. I think what I’m going to do as well because there are a lot of questions about the new rules, I’m going to be holding a Q&A for anybody who is interested, probably an hour sometime at the beginning of next year so that if you’ve got specific questions about it, you can ask me. I encourage you to get the report because that way you can get on my list and I can send you the invite. Robert: Perfect so that’s how it’s going to work. Before we’re done today, we’ll tell you how you can get your hands on the report and that will also get you alerted when Mauricio does his live Q&A session. If you have specific questions, there’s going to be lots of questions as this thing rolls out, but exciting stuff. Just to be clear, we’ve been talking about this new part of Title III which allows us to raise money to non-accrediteds for lesser amounts. But for a while already the regulations were out about the accredited places people go. Whether you call them portals or not, there have been some websites, we’ve actually had guests from some of those sites on the program raising money for accrediteds. That already is up and running and it’s a pretty vibrant part of crowdfunding right now. Mauricio: There was also a lot of confusion. Everybody calls everything crowdfunding but there was a distinction. I was distinguishing it between the little C and the big C, but now I’m going to call the regulated crowdfunding. The crowdfunding that already existed was this, I’m going to get technical, it was the 506C exemption, which allows you to advertise to accredited investors. That’s been going around now for just over two years. It was September of last year. What this is, it’s a separate, completely new exemption that specifically talks about the portals and what we’ve been talking about today. But it is a brand new law that again, technically doesn’t even go into effect until May of next year. Robert: All right, good stuff. As always, counselor thanks for your great insight and we’ll see you at the Secrets of Successful syndication in January. Mauricio: Thanks for having me. Robert: All right. There’s attorney Mauricio Rauld. When we come back, we’ll have more about crowdfunding and it’s potential right here on the Real Estate Guys Radio Program. I’m your host, Robert Helms. Welcome back to the Real Estate Guys Radio Program heard every weekend on this great radio station, all the time at realestateguysradio.com or your favorite podcast venues. We’re talking today about the changes and finally the final legislation if you will, the rules that we can live by as potential crowdfunders and good stuff from Mauricio. Russ: I think it’s easy to get lost in the weeds, but that’s why you have advisors. That’s why you engage people who pay attention to these things on a tactical level because ultimately just saying, “I can go do this”. You still need to make sure that whatever you’re planning on doing is strictly compliant. You always want to make sure you have those guys and gals on your team who can help you do that. But conceptually, it’s very exciting because the idea is now we are beginning to take down some of the barriers. You can say what you want, and everybody has an opinion. And I’m certainly one of those people with an opinion about the role of government and what they do and what they don’t do. In this particular case, government is getting out of the way. It’s not like they’re saying, you can go do something that you weren’t able to do before. Technically, what they’re doing is they’re saying, “we erected a big barrier and now we’re going to lower the barrier so more people can get over it”. But at the end of the day, look at it from whatever perspective you will, the bottom line is it’s a good thing that at least the government is beginning to recognize that we’ve got to get capital flowing. There are people who just absolutely want to be able to invest with a person that they know or Main Street. There are other people that want to invest with a professional advisor but there’s more and more people that are engaging and building social communities online and this is, I think, a real opportunity especially for the next generation. You and I, Robert are a couple of older guys. Robert: Speak for yourself, my older co-host friend. Russ: Ha ha. Yeah. You look at the way the younger generation is just growing up. I have children that were born before there was an internet. I have a couple who can remember before there was an internet. And then I have children who have no concept or memory of life before the internet. The only know a world with the internet in it. They’ve never seen an encyclopedia or a telephone book. They don’t understand what those things are. That’s not where you go to get information. A big part of their social life is online. You watch these guys, they get on Instagram or whatever and they start talking about something and the next thing you know, a month later they’ve got 5,000 people following them. I’m like, gosh it took us forever to get up to 5,000 people following us, but they understand that world. It’s a natural progression in a social environment for people to share things including opportunities. When people have an opportunity and people have money, the technology, the online world, that community is a natural place for people to do that, and it’s inevitable that at some point again … You know, you could say whether it’s good or bad, but at some point the government is going to get involved beginning to try to regulate some of that. In this case, they’re trying to unleash the power of the online community, the internet, to be able to connect people and get money flowing. I think ultimately it will be a good thing. It’s just going to take some pioneering, and thank God there are people out there that are willing to go out into the wilderness and try something new. I’m really looking forward to seeing how this new innovation progresses. Robert: Right and keep in mind as Mauricio said, that the big difference, one of the big differences here is that the only way you can, as a promoter, as a syndicator go after the non-accrediteds through crowdfunding is via an approved portal. You can’t just start your own website and raise money or go to Ebay. Russ: Well, you can, (laughter) but it’s probably not a good idea. Russ: I could go out and rob a bank if I want to, but I don’t suppose that’s a good plan. Robert: Your plan will be to vet these platforms and certain ones will appear. In fact, coming up at the Secrets of Successful Syndication, we’ll have an update on who’s in the game and what’s happening. We don’t have any horse in the race. We aren’t affiliated with any of these platforms. There’s lots of them vying for our attention right now. We thought it best at this point, rather than come up with any kind of recommendation or list, that we just alert you to the fact that this is happening so it gets on your radar. As we go through the next year, we’ll see. A lot of these folks are putting serious intellect and capital behind these platforms, expecting this will be a way that people who haven’t up until now perhaps even investing in real estate, be interested in investing in things like real estate. Russ: Think about it, if you’re old enough to remember life before amazon.com there were many, many people … My very first internet marketing seminar was about Galaxy Mall. I went and saw the Galaxy Mall presentation. That was the first time I ever heard the word portal and began to understand that there were going to be places online, these virtual places, that people could enter into a whole world of shopping or whatever. Nobody hears about Galaxy Mall today. It’s all Amazon. All of these innovative companies are out there. Somebody is hoping to be the last one or two or three or four people standing. Amazon in online retail is by far and away the dominant force, just like Walmart and Costco are the two dominant forces in retail. Robert: Depending upon when you’re listening to the archive, they may no longer be true. Russ: I know, that may not longer be true. But watch the space as we’re going to be watching the space because probably over time, somebody is going to be emerging as the person who is dominant. You have to ask yourself, what is the main value proposition? One of the main value propositions is they’re going to have to be compliant. You’re going to have to make sure that they’ve done a good job vetting the people and following the regulations that they have to follow in terms of their responsibility allowing people to come in and show you what they have to offer. The other big part of it is they’re going to have to have a crowd. If you put your offering out there and nobody’s got any eyeballs, what good is going to do? Robert: This is one of the big common misperceptions and you talked about this early in the show. But, there were a lot of folks two years ago and three years ago when crowdfunding was just starting to stick it’s head up and say, “we may be able to have equity-based crowdfunding,” who thought thank goodness. It’s the end all, be all. I’ll just throw up my property on some website, people will overbid for it and it’s be done. The reality is it’s not about the technology, it’s always about the deal. If you have a deal with a good story and it’s been vetted and it’s been inspected and all that’s been done, then finding the capital now has changed for some folks to be able to go to methodology like crowdfunding. But unless there’s a crowd, there is no deal. A lot of what these portals have to do is develop that following, that crowd, those people that are going to be looking at, like peer-to-peer lending. There area a lot more people borrowing money than there are lending money on peer-to-peer lending. What’s it going to shape out for crowdfunding? Right now, we’ve already seen what’s happened to accredited. There are several big reputable sites that have the ability for accredited investors to register, be shown deals, and invest. And it’s working pretty well. This is very different because of the level of complexity, I’m guessing the level of deal size is going to be different, probably not as sophisticated of investors getting involved. It’s brand new territory, but it’ll be exciting to watch. Russ: I think the other thing that you’ve got is just realizing, you know we do a lot of stuff online. Obviously, we appreciate guys … we do our radio show of course, and we put our podcast out there. And we do our email blasts and newsletter blogs and all that. People come out to our live events, and we’re able to meet them and that’s exciting. The number of people that come out to the live event is a small, small percentage of people that actually engage with us or hear our voices or read our stuff online, and that’s always going to be the case. But in terms of our business and the people who end up becoming the most valuable to us and our sponsors, if you will, are going to be the people who come to the live events. You still have to deal with the fact that this is a people business and technology is going to open up the number of people you can communicate with. But you still, on your side, we’re not talking about the crowdfunding side, but you as the individual person out there thinking, “I want to use a crowdfunding platform”, make sure you put some time and thought into how you’re going to handle the customer service side of it and all the interaction you’re going to have with those people as well. Just getting the money in is only the beginning of the relationship, it isn’t the end. You’ve got a lot of responsibilities once you’ve got an investor into whatever it is that you’re offering to continue to build that relationship. Make sure that you’ve contemplated that and as you’re evaluating different crowdfunding platforms that you might choose to engage with, look at them through the whole thing. How are they bringing people eyeballs in? How are they vetting deals? How are they communicating? What type of added value services are they going to provide you after the fact in terms of supporting your customers and how all that works. There are still a lot of things yet to be developed. Continue to watch the space. We’re going to continue to watch the space, and we’ll bring you more news as we hear it. Robert: Crowdfunding is one of the potential ways to raise money for deals. If you’re out of your own cash and credit and want to go raise investor’s equity to do more deals and get bigger faster, come on out to the Secrets of Successful Syndication. We’ll be in beautiful Phoenix, Arizona the last weekend of January. The only way we can do the event this time of year if it was not a football playoff weekend. It’s the weekend between the last playoffs and the Superbowl. Come on out. 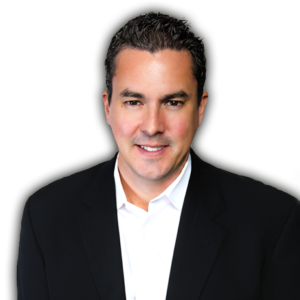 Ken McElroy will be there, syndicator extraordinaire and the Rich Dad advisor for real estate investing. Mauricio Rauld who was here on the program today will be out there, and we’ve got a bunch of great, great faculty members and guests. It’s always wonderful, the people that show up to the event, but it won’t be the same without you. Go to the website at realestateguysradio.com and click events to come out to the Secrets of Successful Syndication. Big thanks to Mauricio for his time and research. If you want a copy of his report, he has basically put a synopsis together of all of this new information so you can read through it easily and he’ll give you a link to the full thing if you really want to read all of it. All you have to do is send us an email to “fund the crowd AT realestateguysradio.com.” Yup, just send an email to “fund the crowd AT realestateguysradio.com” and you’ll get Mauricio’s synopsis of everything you heard today. Until next week, go out and make some equity happen. We think crowdfunding could be the Facebook of connecting money to Main Street. Yes, it could be THAT big. So we decided to go to Ruth Hedges’ 2nd annual Crowdfunding Bootcamp in Las Vegas to find out more about it. And of course, we took our mobile microphones with us. So when we weren’t listening to panel discussions and presentations, we interviewed a few of the many interesting people in attendance for this episode of The Real Estate Guys™ radio show! Ever since our good friend and attorney Mauricio Rauld told us about the JOBS Act, we’ve been monitoring the progress of the crowdfunding “movement”. You may recall that at Freedom Fest last July, we talked with Ruth Hedges (the organizer of the Crowdfunding Boot Camp) and found out the long awaited new regulations to loosen the restrictions on general solicitation (advertising) would be going into effect September 23rd. And unlike the Federal budget, the regs actually came out on time! So by the time we got to the Crowdfunding Bootcamp in Las Vegas, these new regulations were only three weeks old. We were very anxious to see what they looked like in the real world. You may have heard that sometimes the implementation of new government regulations can be a little…shall we say, “sketchy”? But unlike Obamacare, the websites for crowdfunding are all being built by private entrepreneurs. And from what we saw in Las Vegas, there’s a lot of them up and running. So far so good. 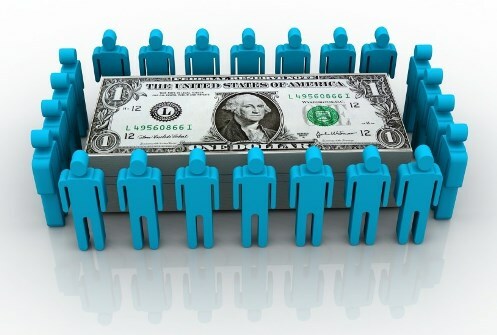 In short, crowdfunding is a modern term to describe the age old practice of raising money from a large group of people. Prior to all the rules prohibiting such things (circa 1933), you could just run an ad or knock doors and pitch people on your deal. If you were really clever, you’d hold a meeting and pitch to the crowd. After the Securities and Exchange Commission (and a bazillion other government agencies) was formed, rules were put in place to prevent the public from buying into private deals offered by strangers. Instead, the government thought it would be safer for the common folk to be restricted to only investing with people they knew, or with complete strangers who funneled their deals through Wall Street via a public registration. As much as we’d like to deride that, we’ll keep a lid on it for now. The point is, for the last 80 years, if an entrepreneur wanted to raise money, he could go to friends and family, or go through the expensive (prohibitively so) brain damage of putting together a public offering. With the JOBS Act and its “crowdfunding” provision, effective September 23rd, 2013 it’s now legal for private offerings to be advertised to the public – with the restriction that you can only receive money from “accredited” investors (someone with a net worth over $1 million or an annual income over $200,000). Now there are limitations and a whole bunch of regulations, but it’s the first step towards getting money FROM Main Street TO Main Street without having to pass through Wall Street. And the crowdfunding community is excited about it. So are we. Now, because there are rules, you can’t just put up a website and start collecting money (sorry). You have to be an approved “platform”, or put your deal on someone else’s approved platform. As you might guess, lots of entrepreneurs are anxious to become the Amazon.com of crowdfunding. And just like the early days for social networking and e-commerce, lots of today’s players won’t be here in a decade. It’s like watching salmon swim upstream. But even though it’s just the Wild Wild West phase of crowdfunding, the potential is clear. And better yet, more regs are coming (in fact are already here and being digested by the lawyers), to allow NON-accredited investors to get in on the action, too! When you combine the lightening of these general solicitation restrictions with the huge reach of the internet, it opens up HUGE potential for a small time operator to have access to lots of investment capital. So imagine you have a killer deal on a great apartment building that just spits out cash flow. You could “syndicate” it by setting up an LLC (check with your lawyer) and then putting it up on a crowdfunding platform, and getting dozens (or more) of investors to put in relatively small amounts of the money. You take all that cash and do the deal. The crowd becomes your partner! So in this episode, we talk to attorney Doug Ellenoff. Doug is a securities attorney who sees the potential and has cleverly positioned himself as the crowdfunding community lawyer. Rather than wait to see if the movement will gain traction and then jump on the bandwagon, Doug and his firm are on the forefront of helping the fledgling industry get off the ground. Doug shares important details about how the whole crowdfunding thing works from a legal perspective. Next, we talk to Karen Kerrigan from the Small Business & Entrepreneurship Council. You’ve probably heard ad nauseum about how small business is the backbone of the American economy, and is a major force in new job creation. Karen’s organization advocates for small business. And one of the many challenges small businesses have is raising the capital necessary to start and fund operations when just starting, or to expand operations once the model and market are proven. That’s why folks like those on Shark Tank are out hitting up rich people to invest money. Banks are too busy running scared after the Great Recession. The normal channels for connecting investors to investments (banks via loans) is constipated. With lending clogged up, equity is an option, but up until now, only the big, publicly traded companies. Karen sees crowdfunding as one of very positive things Congress has done to help get connect small entrepreneurs to investors, except that instead of a panel of uber rich on TV, they can take their deal to the masses through cyberspace. It’s too bad it took the Executive Branch two years to get the regulations in place to actually start doing it, but we’re finally here, so everyone is hoping to see businesses getting funded as early as 2014. Of course, we’re The Real Estate Guys™, so what’s most interesting to us is the real estate angle. That’s why we’re excited to interview Jilliene Helman from Realty Mogul. She grew up in a real estate family, but ended up in wealth management as a profession. When she saw crowdfunding, she recognized the potential to put the two together and she’s already up and running. Jilliene tells us a little about her background, how she got started, and what she’s up to today. She’s a sharp gal, and we’re looking forward to getting to know her better. Last, but certainly not least, we took the opportunity to sit down with three of our several listeners who were in attendance. As real estate investors, they tell us how they see crowdfunding fitting into their go forward plans. It’s our version of a man-in-the-street interview. All in all, it was a great time. We continue to be intrigued by crowdfunding and will be watching the industry develop. For now, listen in to the episode and consider how YOU might utilize crowdfunding to help other investors while expanding your own real estate empire. Discover the latest laws, trends, tips and techniques to raise money for your business or investment opportunity at the 2nd Annual Global Crowdfunding Convention and Bootcamp in Las Vegas, Nevada. Co-host of The Real Estate Guys™ radio show, Russell Gray, will be there and invites YOU to join him and learn more about this exciting concept. Click here to register now. Crowdfunding is one of the most promising developments in fundraising. Though it’s been used for decades to help fund things like movies, political campaigns, research, civic projects and the occasional startup business, there are two recent changes that are bringing crowdfunding more into the main stream. 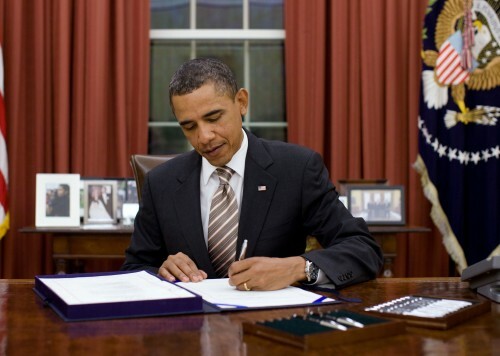 In 2012, the U.S. government passed the Jumpstart Our Business Startups or JOBS Act. 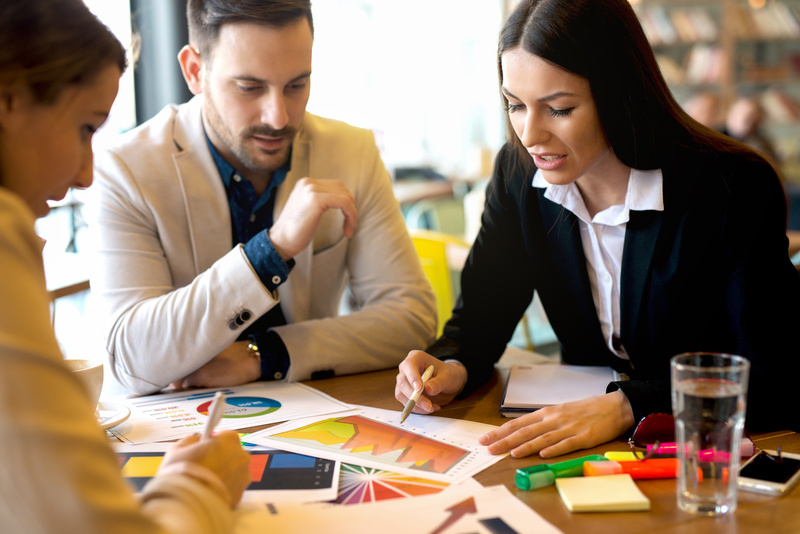 One of the purposes of the JOBS Act is to make it easier for individual investors invest in start-up businesses by eliminating some of the red tape entrepreneurs face when raising money. Yes, we know it’s ironic that MORE legislation is intended to REDUCE the red tape, but what else would you expect from government? And not surprisingly, despite all the hope and hoopla, the actual implementation of the JOBS Act with respect to crowdfunding has been a slow trek. However, on July 10th of this year, the Securities and Exchange Commission (SEC) issued regulations which has given the market hope that progress is being made. We’re sure one of the highlights of this years Crowdfunding Bootcamp will be updates and advice on how to take advantage of these new changes. Simply stated, crowdfunding is a process by which individuals and small companies can take their offering directly to the public without the expense and hassle of going public. In their purported efforts to protect Mom & Pop investors from “risky” investments, the SEC has imposed strict rules about selling securities (stocks and bonds of entities) that are not publicly registered (as if publicly traded securities are “safe”!). The net effect of this SEC “protection” is that small, private companies and start-up businesses have had a very difficult time raising money outside of friends and family. And, as Robert Kiyosaki points out in Rich Dad’s Guide to Investing, it’s also prevented non-millionaire investors from enjoying access to many attractive private deals. The JOBS Act and the July 10th SEC decision look to lower the hurdles entrepreneurs and investors face when raising money from the general public. The second exciting change that is enhancing the opportunity for entrepreneurs to use crowdfunding isn’t legislative and it isn’t a secret. Obviously, the internet has profoundly changed the way the world does business and crowdfunding is just one more beneficiary. How? The value of stock brokers and investment advisers to entrepreneurs has always been their control of the distribution channel for securities. If a corporation wants to raise money by selling equity (stock) or debt (bonds), the most cost effective way to do so was to issue the offering through Wall Street. Wall Street had all the often exclusive connections to the investors. Today, people are more directly connected than ever before though the internet. In retail, buyers can shop the world today and even a small business with one physical location (or NO physical location) can have a global presence! The Real Estate Guys™ radio show is a great example of this. In real estate, buyers and sellers can find each other much more easily without depending upon the exclusive databases of the local real estate agents. This has forced agents to focus on adding value to the transaction by way of their marketing and negotiating skill, and not merely as the gatekeeper of inventory. We think that’s a very good thing. More recently, social media has accelerated inter-connectivity of both businesses and private individuals. Even children have thousands of connections all over the world! So today, entrepreneurs often have or can quickly build a large “crowd” they can go to for funding. And as the aforementioned regulatory hurdles are lowered, crowdfunding has the potential to be a major source of investment capital. Now, even a relatively small time real estate investor can quickly leverage his or her expertise and efforts by raising money from private investors and building a profitable real estate portfolio. And that’s just one of MANY potential applications for crowdfunding. So, if you want to build a business or investment portfolio and need investment capital, crowdfunding is a concept you will want to become immediately familiar with. A great place to get up to speed quickly, while meeting all of the major players and service providers, is at the upcoming 2nd Annual Crowdfunding Conference and Boot Camp in Las Vegas on October 14-16. 2013. Click here to register. When you consider the value of just one great idea or connection (plus how fun it is to visit Las Vegas! ), the Crowdfunding Conference and Boot Camp seems like a great way to explore the opportunities awaiting YOU through crowdfunding. So make your plans today to join The Real Estate Guys™ radio show co-host Russell Gray and hundreds of other crowdfunding enthusiasts in Las Vegas October 14-16, 2013. Click here here to register now.